If you are involved in a car accident, Our Los Angeles Car Accident Lawyer practice group will get involved and assist you from the moment you contact us. Car Accidents are the most common sort of personal injury cases. The key to successfully handling a car accident claim is to consult with a lawyer as soon as possible; Our Los Angeles Car Accident Lawyer can help determining your rights to compensation if you or your loved ones are the victim of a car accident. Our Los Angeles Car Accident Lawyer offer caring personal service and aggressive representation for seriously injured car accident victims throughout Los Angeles. We step in to ensure and protect your legal rights when there is a serious car accident injury. Every year, the Los Angeles County has been witness to various motor vehicle accidents. 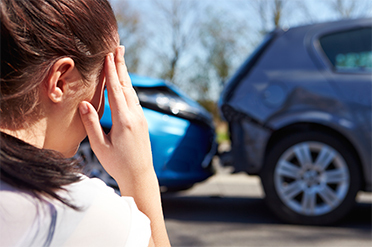 Rabban Law Office’s highly skilled Car Accident Lawyers has put up a remarkable record of representing victims of car accidents over the years. You should also hire Accident Lawyer Los Angeles as soon as possible after the car crash. Delay may result in lost or damaged evidence, missing witnesses, and failure to meet legal deadlines for filing lawsuits. Our Los Angeles Car Accident Lawyer practice group will also work with the insurance companies, leading doctors and medical professionals to make certain that you are in good hands. In addition to the importance of your health and general well-being, it is crucial that you be treated by able, experienced healthcare professionals when recovering from an accident. Obtain contact information for everyone involved in the accident. Include their name, address, insurance information, vehicle license number and driver’s license number. Take pictures of the accident scene and any vehicles involved in the accident before you leave the accident scene. Also, photograph any injuries such as bruises, cuts and bleeding. Do not talk to an insurance adjustor. Talk only to your doctor or lawyer. Consult your lawyer before signing anything. Anything you sign or say to be helpful can easily be misinterpreted and turned against you. Go to the hospital if you are injured and explain exactly how you received your injuries. Report memory problems, confusion, however minor these things may seem at the time. Car accident lawsuits are typically based on the law of negligence. In general, motorists are expected to exercise a reasonable standard of care while operating a motor vehicle, so as to prevent harm to others. When a driver fails to exhibit a reasonable standard of care, they are considered “negligent.” A driver may be legally liable for any damage caused by their negligence. Call now at (818) 272-8882 and speak with Los Angeles car accident lawyer in California. We will help you get the settlement you deserve. In some cases, valid claims are denied injured victims. That is one of the reasons having an attorney at your side that understands how the legal process works is so important. 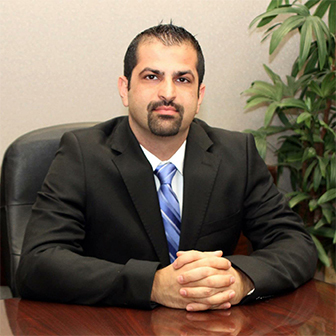 With over 15 years of experience, our Los angeles Car Accident Lawyer at Rabban Law Offices has achieved generous compensation for many of our clients, and we are prepared to fight for you. You may require costly medical treatment and compensation for loss of wages in addition to other expenses related to the injury. Speak with a Car Crash Lawyers Los Angeles from the firm today so that your case can be properly evaluated. We are ready to assist you. Our Los Angeles Car Accident Lawyers use investigators, accident reconstruction specialists, accountants, economists, physicians, bio-mechanics, human factor experts, and any other forensic experts necessary to prove how your car accident occurred, and how much your case is worth. Our Los Angeles Car Accident Lawyer will be able to determine when such experts are needed and how to best use them in negotiations with the insurance company to settle the case, or for use at trial to obtain the highest possible recovery for you. We are extremely thorough in the preparation of each case; we are relentless in the pursuit to win for our clients; we are aggressive against the opposition; and we work harder than the opposing attorneys.